Why Teach a First-Year Seminar Course? First-Year Seminar is taught by UNCW faculty, staff, and administrators who are dedicated to first-year student learning and success. UNI faculty find this experience personally and professionally rewarding as it provides them an opportunity to contribute to first-year persistence and offers them a deeper understanding of student perspectives and needs. Assisting students in developing effective self-management and study strategies can often mean the difference between success and failure in the first year, regardless of academic aptitude or preparation. 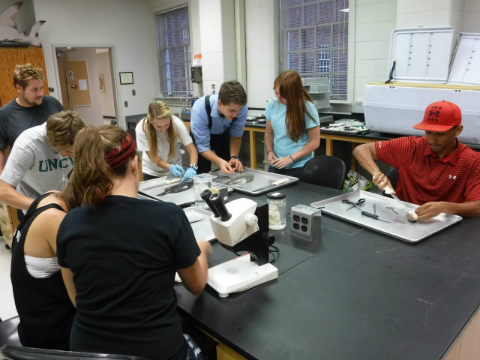 By fostering increased self-awareness, enhancement of critical thinking skills, and early engagement with the UNCW community, FYS faculty can have a significant positive impact on student success. Research also indicates that academic habits and attitudes established in the first year of college remain respectively stable through subsequent semesters, so the first term becomes a critical period in which approaches to learning can be shaped to best serve the student. Click here for research related to First-Year Seminar. All new instructors must complete a FYS Information Session during January. These hour-sessions will cover UNI as part of University Studies, the curriculum of UNI, and instructor expectations. 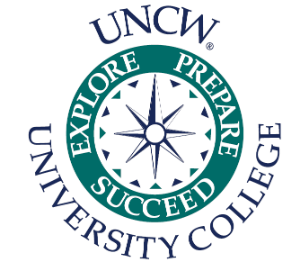 New instructors are required to attend two half-day Orientation Sessions (March), and UNCW's First-Year Studies Conference in April. UNI instructors who taught in semesters prior to Fall 2017 and all new applicants must attend a First-Year Information Session prior to submitting an application. All Info Sessions will be held in DePaolo 1017. Teaching a UNI section is contingent upon attending all instructor development sessions. All returning instructors must complete a questionnaire and application in order to be eligible to teach in Fall 2019. Friday, March 22 & Friday, March 29, 2019 from 1-4:30. Both new and returning instructors are required to attend the First-Year Studies Conference (April 26, 2019 in the Education Building from 8:30-4:30) and the Annual FYS Kick-Off (TBA). Fill out the Instructor Application to apply to teach UNI 101 First-Year Seminar for Fall 2019! (All applicants must create an account to apply). Deadline to apply is Monday, February 4, 2019. Learn more about the annual conference for faculty, staff, administration and graduate students! For additional information about the First-Year Seminar program and future teaching opportunities, contact Rebecca Stultz, First-Year Studies Coordinator, at (910) 962-7970 or email stultzr@uncw.edu.